BengalsGab Looking for Interested Writers for 2008! 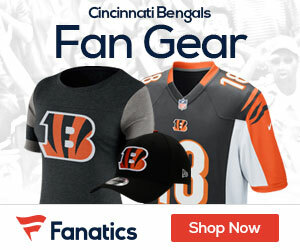 The Bengals are looking to make their mark in the AFC North in 2008, and here at BengalsGab, we are looking for fans and writers who would be interested in joining our staff in 2008. The site is growing by leaps and bounds, and we’re looking for dedicated Cats fans that want to be a part. How much you write and exactly what you’d like to write about is all up to you! Compensation for your work will be discussed, and your work will be seen by some of the biggest sites in the country! If interested, drop us an email at matt@nflgridirongab.com with your name and basic info. Get on board today as the 2008 season closes in!